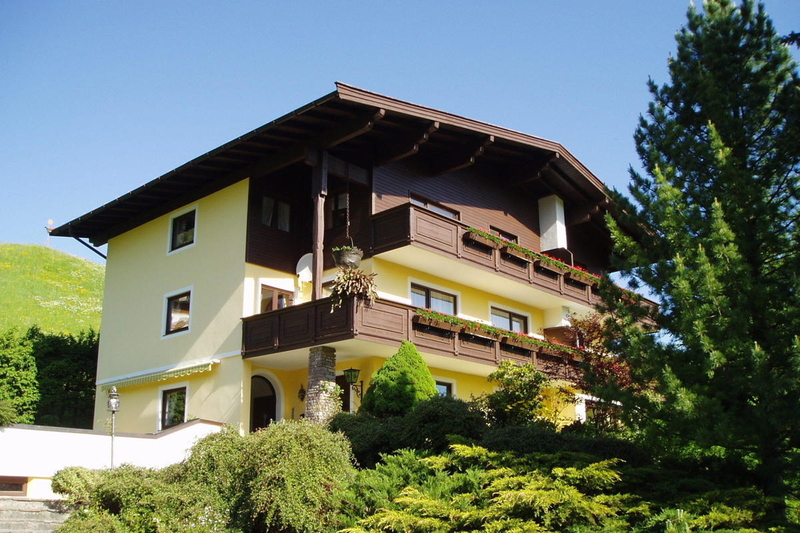 Our house is situated directly next to the Gaisberglift; starting point of several hiking paths, ski slope with possibility of night skiing and tobogan run. 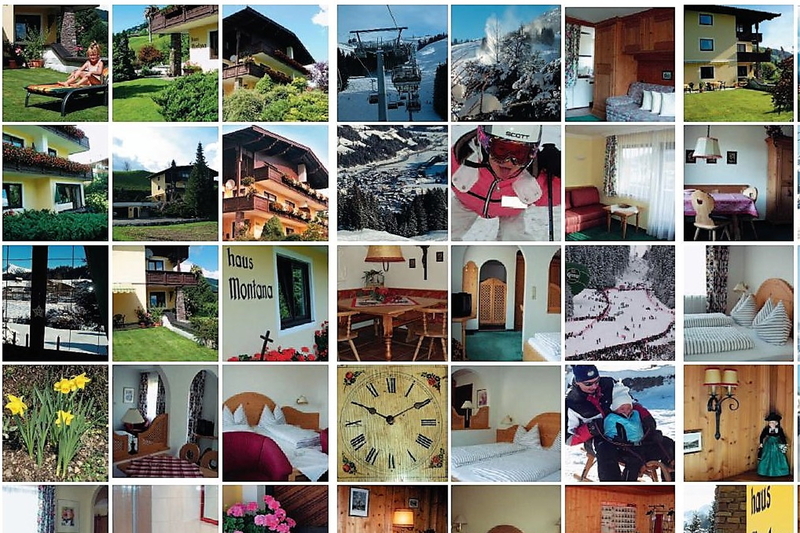 Our location offers you a beautiful view of the Kitzbühler Horn, the Maierl and the Grossen Rettenstein. We offer newly appointed rooms and appartments, furnished with a bathroom, toilet and balcony. We serve you a generous breakfast in our ‘Stube’ furnished in Tyrolean style. For a cosy get together our ‘Stube’ is at your disposal during the day as well as in the evening. After a long day of fresh air and sportiness, our sauna with large relaxation- and fitnessroom, offers you the best way to end it! In order to get ‚downtown’ Kirchberg it takes you 7 minutes by foot. 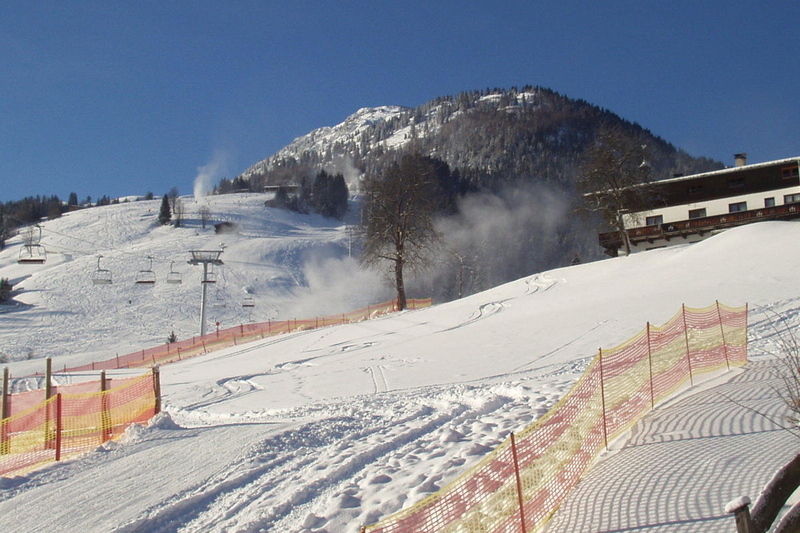 Less than 100m away is the busstop, from where busses to Kitzbühel, the Fleckalmbahn (Gondel) or Aschau start. No need for a car! Our house can host up to 24 persons. Divided over 4 apartments and 4 rooms. 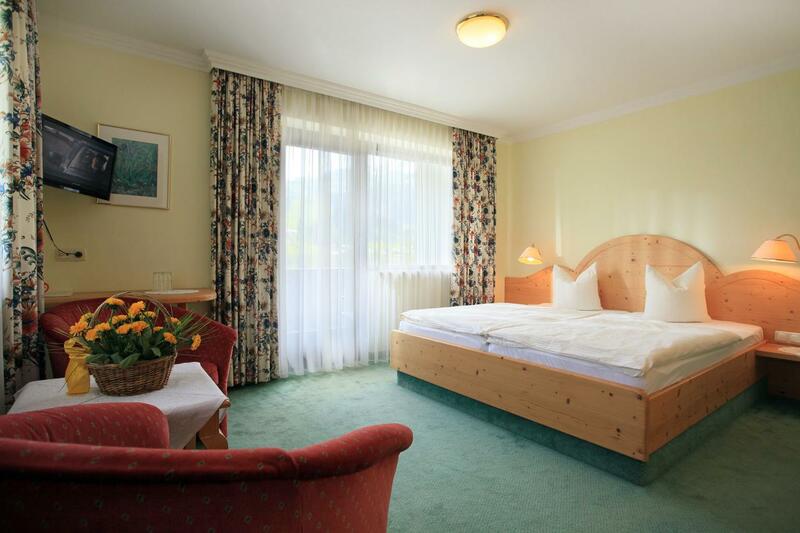 We offer rooms with 2 or 3 beds in high class standard. The rooms are individually styled and decorated. All rooms have a shower, toilet and cable television. 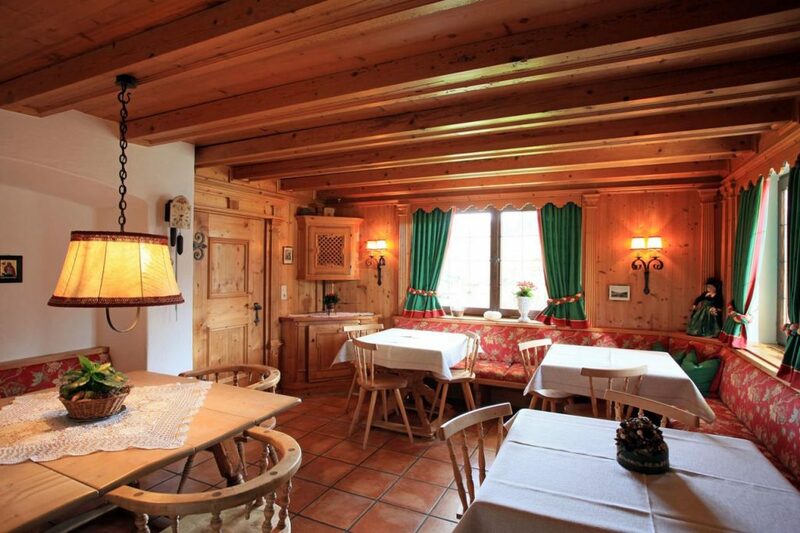 The generous breakfast is served in the Stube decorated in Tyrolean style. Our comfortable 2- or 4-person apartments are divided up generously all include shower, toilet, balcony and cable television. Of course, sheets and towels are provided. You can prepare our own meals in the kitchen or kitchenette. Upon request additional beds for children can be placed in the apartments or rooms. For relaxation, our sauna with its relaxation area is at you disposal. 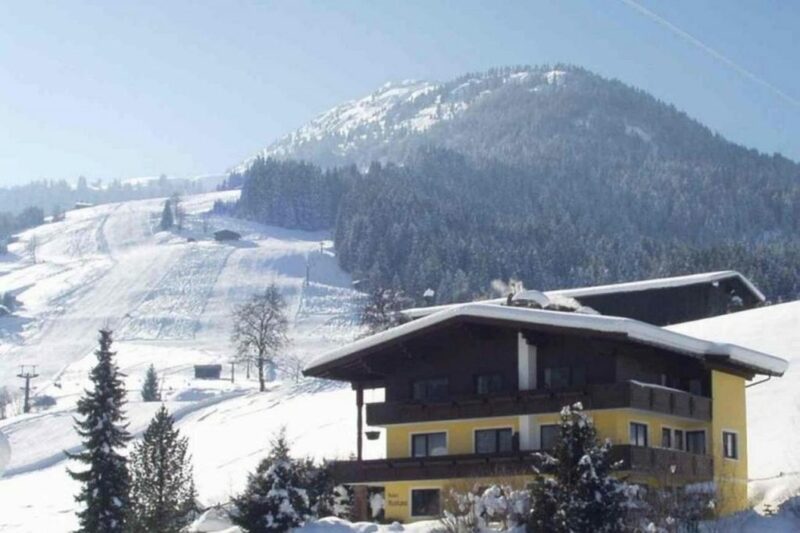 With the busstop in front of House Montana, you can conveniently reach either the Fleckalmbahn or the Penglestein Gondola as astarting point of you skiday. From there you can reach more than 65 skilifts and over 100 km of prepared skislopes. In order to get back to House Montana, no bus is needed, just ski down the Maierl and you are in front of House Montana. 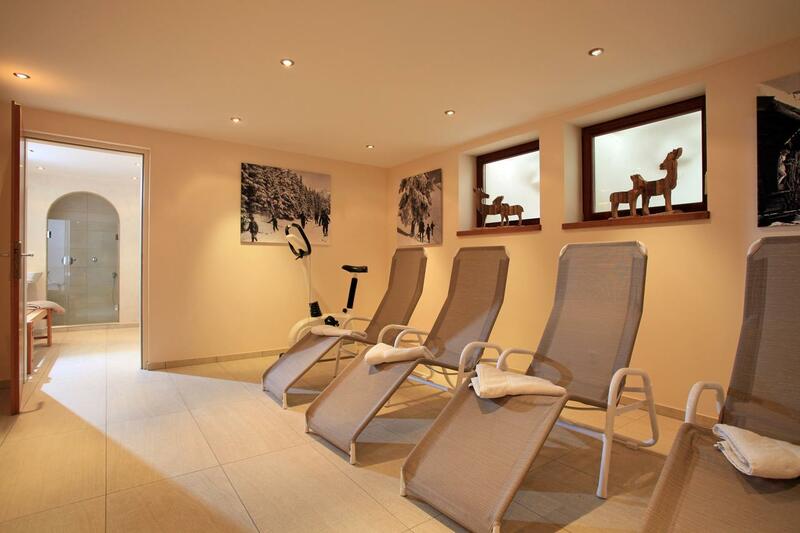 After a good day of ski, you can taste the famous Après-Ski atmosphere in Kirchberg or relax in the sauna of House Montana. Next to skiing a range of other activites are offered in Kirchberg. The Gaisberg hosts an excellent tobogan run with a lenght of 3,5km and a height of 1264m. Along the run there are 2 possibities to go for a drink and warm up. The run is also open during the night. Cross country ski fans are also at the right spot, tracks that vary from 6 to 30 kms are offered. No matter what you prefer, either a challenging ride on one of the mountain bike trails or hiking in the mountains, House Montana is the ideal starting point. 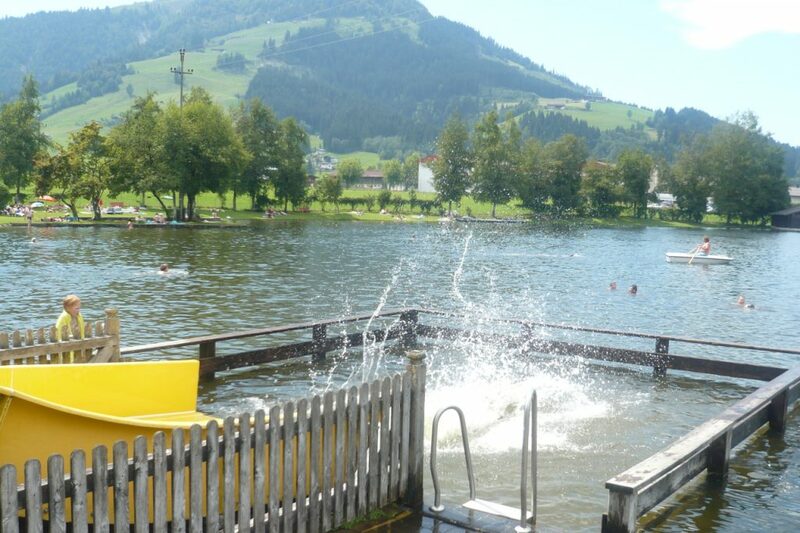 Swimming in the nearby “Badesee” is fun for the whole family, slides and tampolines are favorite with the children. For the small one’s, a pool and playground are available. Tennis, golf, horsebackriding, paragliding and fishing, to mention some other activities, are offered nearby.